Gnu Eventures is a comprehensive digital marketing solutions company. We are based in Perth, Australia and service clients in Australia and around the world. 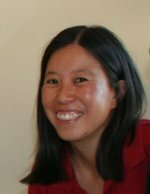 Nita Teoh is a director and co-founder of Gnu Eventures, your one stop shop for digital marketing solutions. Nita is a digital marketer who is passionate about helping businesses attract more clients through creative content marketing solutions. She has written for prominent publications around the web such as Freelance Switch, Work Awesome, and Content Forest, and for local publications such as the Nifnex Review – Perth’s SME Dedicated Business Publication. She has also provided her copywriting expertise to some of the top companies in Australia such as BankWest, Allianz Insurance and HBF. When not working with clients at Gnu Eventures Digital Marketing Solutions, she can be found exploring Perth’s hidden gems – especially food places, arts and culture and the outdoors, at The Insider’s Guide to Perth, Western Australia – Perth Walkabout. You can connect with Nita Teoh at Google Plus and Twitter. Greg Letts is a director and co-founder of Gnu Eventures, your one stop shop for digital marketing solutions. Greg has an extensive background in computers (“my first computer was an NEC APC III with two 5 1/4 floppy disk drives and no hard disk”), and worked as an Instructor at the Computer Power Training Institute for 8 years, teaching programming, networking, website development and office suite skills. In 2006, Greg left the 9 to 5 grind to pursue his dreams of combining table tennis with online technology. He was the Guide to Table Tennis at About.com for 6 years (as writer and editor), and also ran his own website (Greg’s Table Tennis Pages) during this time. He was one of the first table tennis coaches to take advantage of broadband technology, creating an online table tennis video coaching program in 2009. 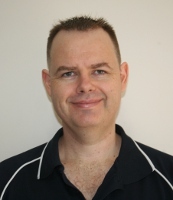 Currently Greg can be found coaching Western Australia’s best table tennis juniors and providing technical expertise for Perth Walkabout and Gnu Eventures. He is also often sighted around the State Theatre Centre of Western Australia, indulging his love of watching plays and writing reviews of Black Swan State Theatre Company’s latest productions for Perth Walkabout. You can connect with Greg Letts at Greg’s Table Tennis Pages or on Facebook. We provide professional content marketing, search engine optimisation and website solutions to help you reach your business goals. To achieve success in today’s online world, having a high profile Internet presence is more important than ever. We create and promote premium content through our customised content marketing campaigns to attract more online prospects and customers for your business. We create websites for your business that are aligned with your branding, easy to navigate for visitors, attract leads, and are search engine friendly. SEO is an important component of a well crafted search marketing campaign. We help your business get found online in Google and other search engines, thereby attracting relevant visitors and leads to your website and other digital media.